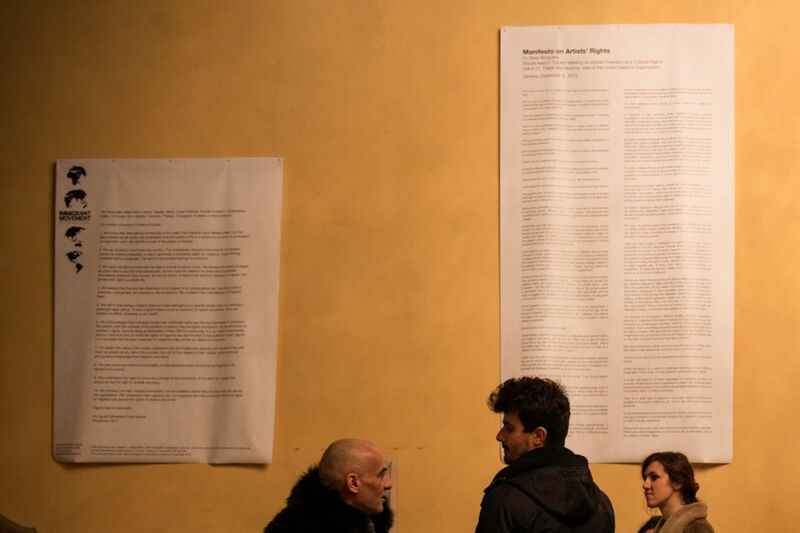 Manifestos (2011-2013), exhibition and reading of the Migrant Manifesto. 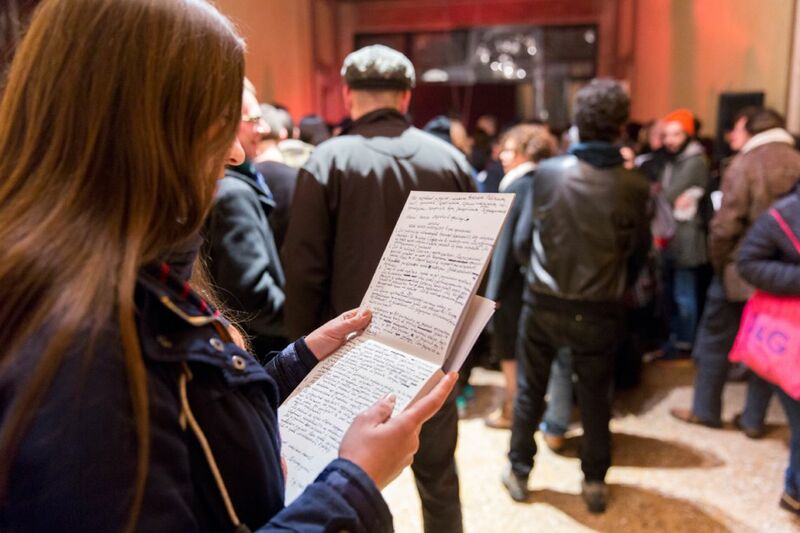 Tania Bruguera, Migrant Manifesto Reading, Venice International Performance Art Week (2014). Photograph by Monika Sobczak. Born in Havana, Cuba, in 1968. Lives and works in the US and Cuba. Tania Bruguera is a Cuban installation and performance artist. She is the founder and director of Arte de Conducta (behaviour art), the first performance studies program in Latin America, which is hosted by Instituto Superior de Arte in Havana. In 2011 she founded the Immigrant Movement International, a multi-part artwork expected to continue through the years. She has been recently developing The Museum of Arte Útil in collaboration with Queens Museum of Art in New York and the Van Abbemuseum in Eindhoven (NL). Arte Útil is a concept that refers to Art primarily as a tool, a device to be used to imagine, create and implement socially beneficial outcomes. Citizen Manifesto for European Democracy, Solidarity and Equality (European Parliament, Brussels, Belgium, 2013). The Migrant Manifesto will be presented in a live intervention by the participants of PAS | Performance Art Studies. The artist further grants the event with participating in roundtable encounters, and with a student encounter realized in collaboration with Universita' IUAV di Venezia. Tania Bruguera, Manifestos. Detail of the exhibition view at the Venice International Performance Art Week (2014). Photograph by Samanta Cinquini.